Please enter your registered Email Id / Mobile No. Wishing a bright future and imparting sound values to its outgoing students, Sanskar School, once again stood up to the meaning of its name. 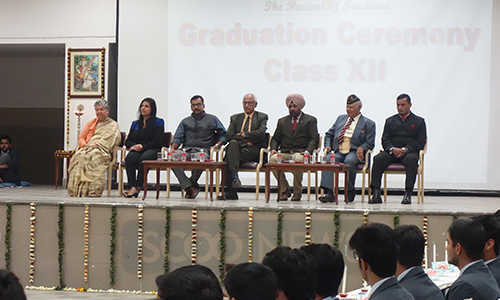 Organized in the school hall, the valediction for class 12 saw all the students present with their parents and teachers on Friday, 12 February. 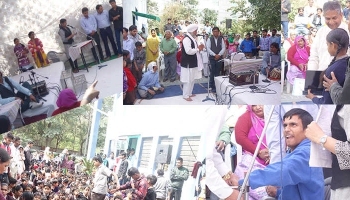 Beginning with remembering the omnipotent, the ceremony took off with the school choir rendering the song ‘Deep dekho jal uthe bujhne na paaye’,written and composed by the school’s teachers. 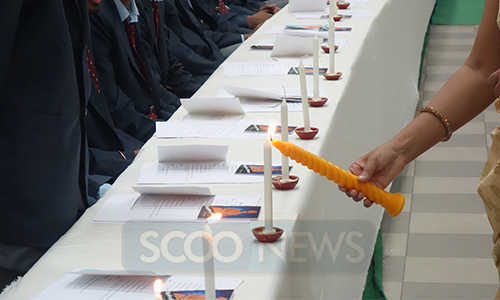 After the song, a citation was called out for each student with a candle being lit in front of her or him by the respective class teacher. 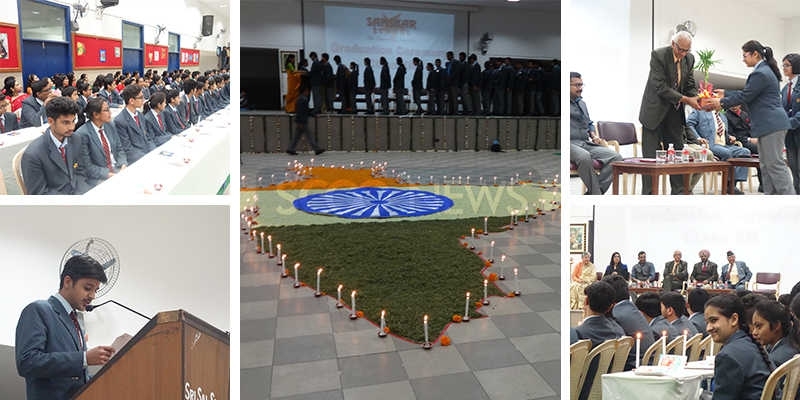 With this candle, the student then lit up the boundary of India’s map drawn on the ground with flowers, and then walked on to bow before each teacher and parent and seek their blessings for a beautiful future. A truly inspirational moment, indeed, to see the nation being lit up with the positive energy of the young. And executed impeccably too. But what moved us completely was seeing a mother thanking the school watchman for his tireless services to the school and students. 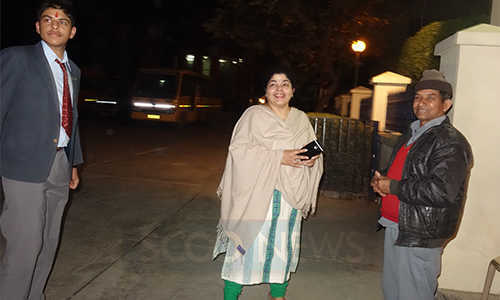 We were near the school gate, ready to leave, when we spotted Seema Singh, mother of Abhay Singh, being courteous towards the watchman. 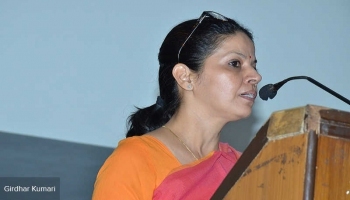 Must say, Sanskar School is what its name stands for. 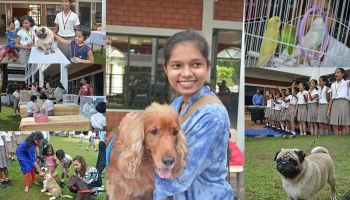 The entire school turned into a mini zoo with sounds of barking, chirping, meowing as the young ones brought different breeds of dogs, cats, parrots, parakeets, birds, fish, etc, to the campus. Alumni meet - as much as we grow up, we never stop missing school days. Joining alumni associations and thus getting to meet school friends as we stay busy with our professional lives definitely makes us nostalgic and reminiscing those years. 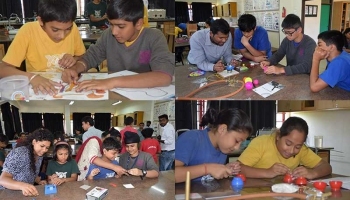 Celebrating the magic of science, the International School Aamby observed the National Science Day on the February 26. Fun with science at this school! 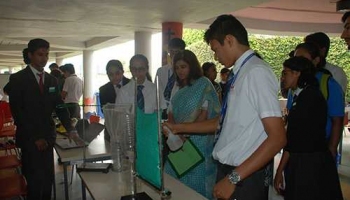 Science, once understood can change the way you think about the world and hence emphasizing on the practical sides of science, The Cathedral Vidya School organized Science Day. It couldn't get better, they think, each year. 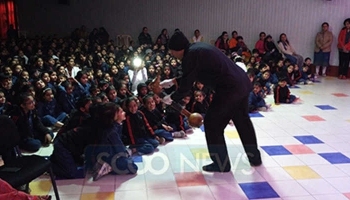 However, they surpass themselves each year as they reach a new level of success with their annual art exhibition. This is none other than the artists from St Edmund's Jawahar Nagar. 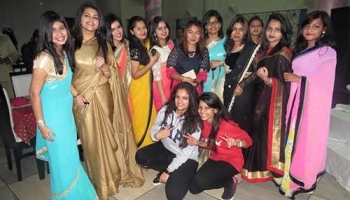 When the girls of the school turned graceful ladies of the future, one can definitely make a guess looking at them that it's their farewell time. 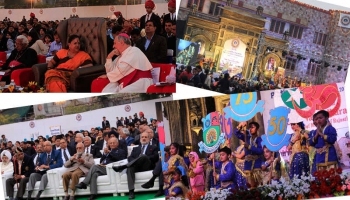 Chief Minister Vasundhara Raje at the 75th anniversary of St Xavier's School, Jaipur asked father principal John Ravi, SJ to collaborate with RSLDC. Attempting boards? 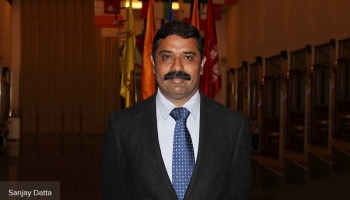 Here’s the vice-principal of Sanskar School giving some practical tips to deal come out with flying colours. 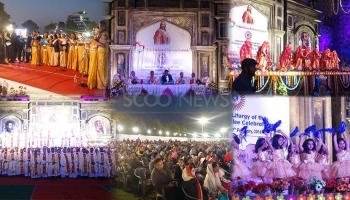 What began as St. Mary's Boy's School in the year 1941, has blossomed into one of the many prominent schools of the city in a span of 75 years. 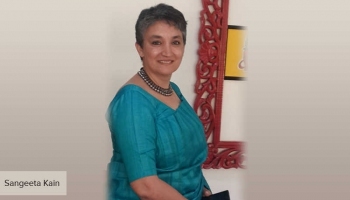 Being the voice of those who struggle to speak, Jatinder Arora, founder of PRAYAS, proved Barack Obama’s quote ‘a change is brought about because ordinary people do extraordinary things’ right. 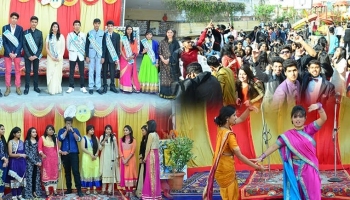 Seedling Modern Public School’s Nursery Branch celebrated its 14th Annual Day named Bedazzle on 13th February 2016 in their High School premises. 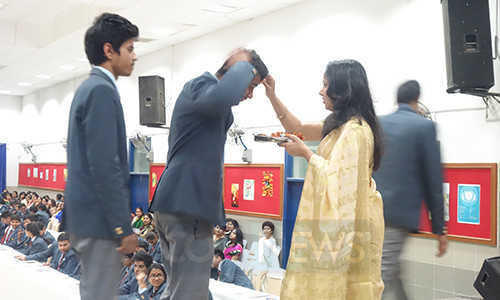 Basant Panchami , known for worshipping maa Saraswati or Hindu goddess of knowledge, was celebrated at the Tagore International School, Mansarovar. 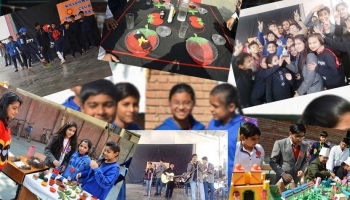 Organizing small activities each month to educate students about life is something that Sanskar School believes in. The Li'l kids of Jayshree Periwal High School, Jaipur were delighted to see the Iranian puppet show organized by the IMA. 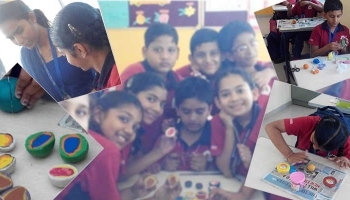 Students of class 5 learn about Earth. Creatively. This school knows how to make complicated lessons simpler and easier; interesting and interactive, to top it. Students here learnt about Earth the most creatively. Students of classes 3 to 8 most spectacularly showcased their learning of the entire academic year with their respective clubs. Judges, although had a tough time, adjudged few of them winners. 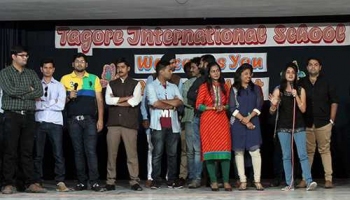 They took off from Bhubneshwar in December with a simple mission, to spread the word. 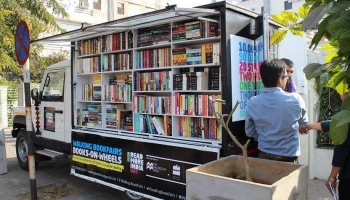 They call it the Walking Book Fair. 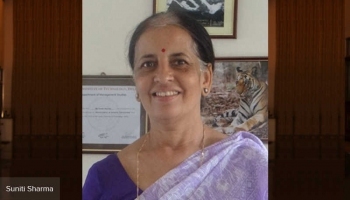 Most schools prioritise studies and extra-curricular activities, but Janki Devi Public School, Jaipur also focuses on environmental conservation. Team ScooNews reached the fair in the early hours to find young, enthusiastic kids peeping into the binoculars set up by TWSI. 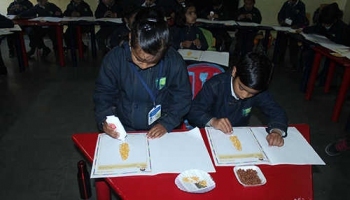 Bringing out the creative best from their students, The Millennium School, HMEL Bathinda organised a 'Corn Feast', an activity for their pre-primary students. 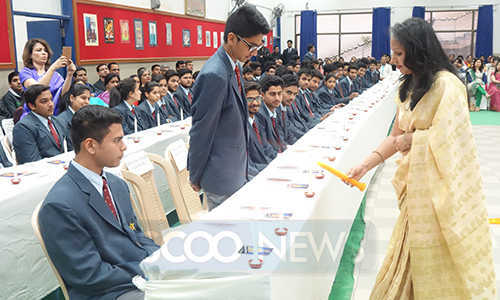 As Feburary starts, the farewell season in most of the schools across the city begins, with the latest one being in St. Edmund's School, Jawahar Nagar.